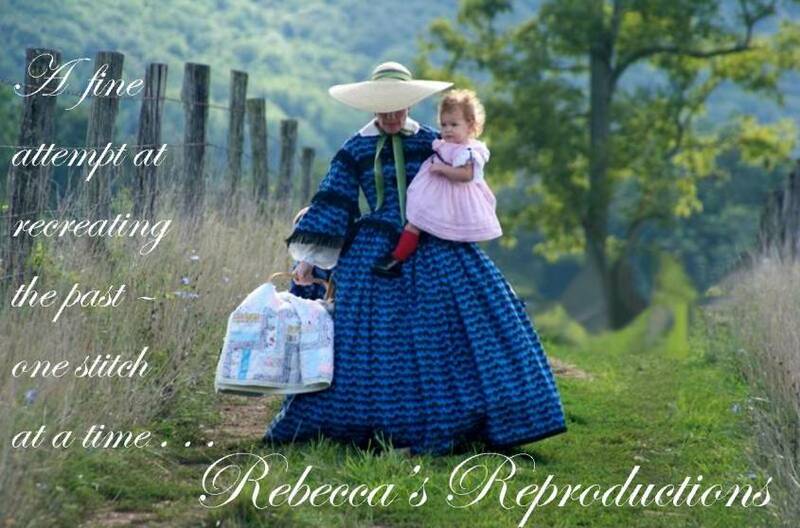 I am in the process of updating my Rebecca's Reproductions website (http://www.rebeccasreproductions.org/) so that it can connect nicely with my new blog. As a result, you may see some postings of pieces I made some time ago. The quality of the pictures, unfortunately is often very low because the pictures were sent via email (back when you had to reduce them to send them), or were poor quality scans of flat photos. Once I have all of this updated, I will go back to posting new projects.